Metro Detroit winters can be brutal and unpredictable, but Triple J's Landscaping is ready to take on the snow! Whether you're a commercial property owner, or a residential homeowner, it's important to have a trusted, reliable, and experience snow removal company to help you out this winter. Here at Triple J's Landscaping, that's exactly what you can expect. For over 15 years, Triple J's Landscaping has been providing quality snow removal services throughout the greater Royal Oak and Warren areas. We're a licensed, insured, and independently owned and operated company. While we do provide excellent snow removal and salt services, we also pride ourselves on the relationships we build with our customers. This is why we love what we do. We'll never subcontract our work as we believe that our professional team is composed of the best people to get the job done in a timely and professional manner throughout the winter. Safety is extremely important to everyone, especially during the winter. Keeping your family, residents or customers safe when they arrive at your property is critical. Whether it's neighbors or customers, having a clean and maintained driveway, sidewalk, and parking lot can say a lot about the owner. We can help you give off the perfect first impression! Hiring our professionals means you don't have to worry about bundling up and cranking up the old snow blower. Let us handle the cold and snow while you enjoy the benefits. Both homeowners and property owners can be liable in a slip and fall accident. We can make sure your property is clean and safe from snow and ice to ensure your visitors are safe from an accidental injury. While some may consider snow removal professionals just people with plows on their trucks, here at Triple J's Landscaping we're much more than that. On top of having our own storefront in Royal Oak, you'll see our fleet of branded trucks and uniformed workers all around the area putting in the blue collar work that resonates with the region. "Jeff did truly an amazing job from start to finish. They are true craftsman and professionals. Our fence, patio, and new sod looks incredible and we were truly blessed to work with such a wonderful company." 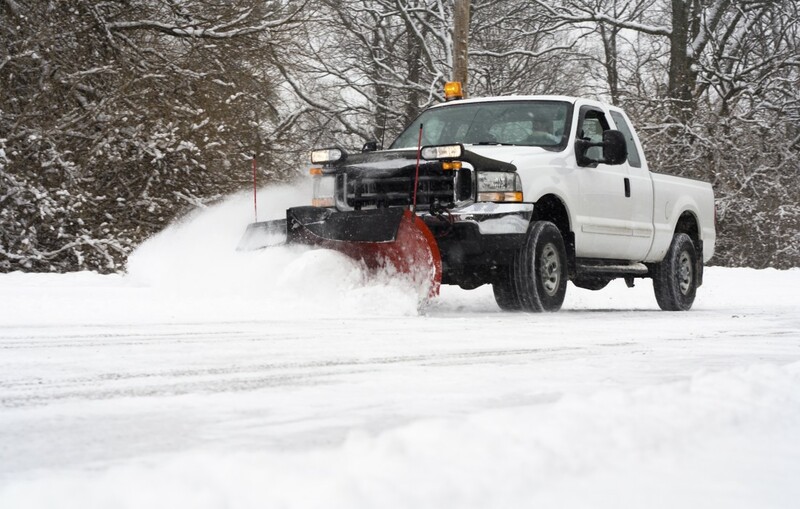 If you're in the Metro Detroit area and are in need of guaranteed snow removal and salt services, contact us today at Triple J's Landscaping; not only do we stand behind our work and our experienced professionals, we guarantee it! Call us today! Always Make a Great First Impression! Save a fortune with our seasonal specials and affordable ongoing commercial landscape maintenance contracts. The contents of this webpage are Copyright © 2019 Triple Js Lawn Care. All Rights Reserved.